February 10th, TURNED ON is collaborating with ageHa and the popular CYBERJAPAN Dancers to bring Tokyo an enormous Valentines day themed party. Our heavenly cupids will be passing out valentines chocolates and "I'm Taken" wristbands to couples, and "I'm Single" to singles. Attending couples can enter for just 1,000 Yen (500 yen each)! Or, wear 100% white and receive completely FREE ENTRANCE! Or for single guests, use our exclusive coupon below to enter the party for only 2,000 Yen! DRESS CODE (ALL WHITE): FREE ENTRANCE! *For couple discount, the couple must come together and both have sepArate coupons. 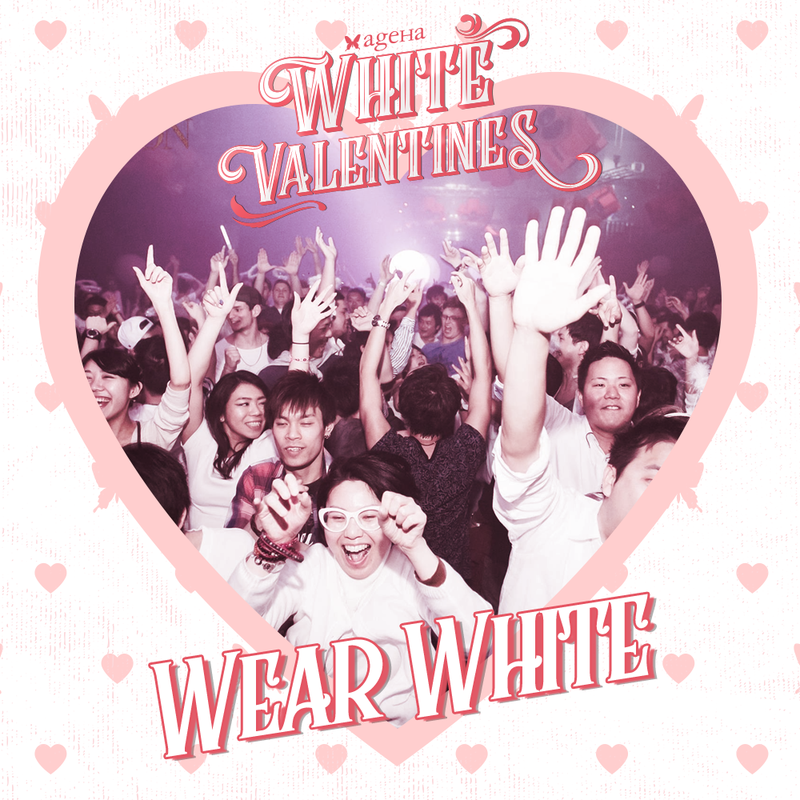 * For FREE entrance with White Dress Code, guests must wear 100% white.